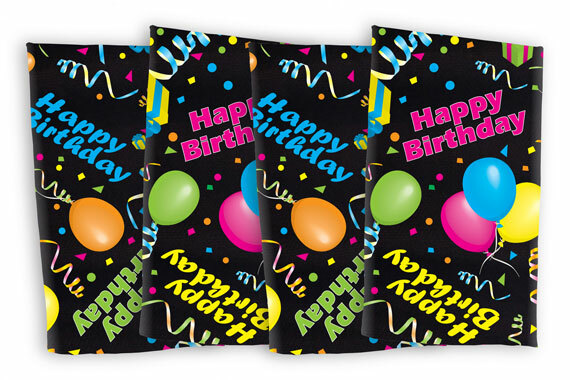 With the Happy Birthday© Napkins, say good-bye to awful paper napkins! Our Happy Birthday© design is extremely versatile and compliments any party theme, so no more running to party store! Best of all, our napkins are made of finest, restaurant quality, spun polyester…the workhorse of the industry! Feels like cotton, only a whole lot better with terrific durability and easy care for years of enjoyment. The Happy Birthday© Napkins is the new "must have" in your linen closet for making memories and the loved ones in your life feel special !